Viveka Gardens Yoga Farm is a retreat place where community and visitors can ground themselves through yoga practices, growing food and nature connection, and so connect with their true self to embody peace and unity. To keep informed link to VG social media and subscribe to the newsletter. Everybody is welcome – growers, yogis, healers, peaceful eaters, students of yoga/organic horticulture, teachers of yoga/organic horticulture, dancers, body workers or people who don’t yet know what they will contribute and are generally of a conscious persuasion. Om Shanti. See here for a little bit about Fiona Sundari Law as a long-time yoga practitioner and link to the land. She is passionate about the link between a soil full of life, healthy food and a body full of prana ready to raise the spirit. Viveka means ‘discernment’ and coming to understand what is the true reality. 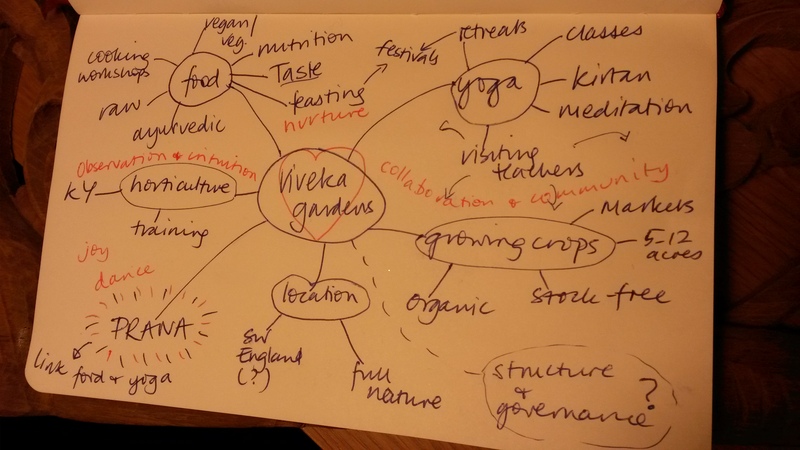 Please contact if you are interested in the long term vision for Viveka Gardens Yoga Farm. Fiona is looking to build a team of dedicated skilled and experienced individuals to develop the social enterprise arm of Viveka Gardens.